A simple tailor, the protagonist of the great Yiddish author Sholem Aleichem’s last theatrical drama, suddenly becomes rich, but loses his money on account of an obscure cinema deal. The author’s son-in-law and assistant, Y.D. Berkowitz, insisted that the issue of moviemaking be removed from the plot. It seems he tried, among other things, to conceal his father-in-law’s “cinema obsession,” which played itself out between Moscow and New York during the final years of his short life. Until now this story of Sholem Aleichem’s “last love” remained virtually unknown because the majority of relevant documents, written in Yiddish, Russian, Hebrew, English, and other languages, as well as the author’s film scripts, have never been published. By reconstructing the picture of Sholem Aleichem’s extensive contacts with the world of cinema in Europe, Russia, and the US, this monograph throws new light on the famous writer’s life and work, on the background of the incipience of early Jewish cinematography. "Rare is a book that reverses the laws of electronics, making a negative into a positive. 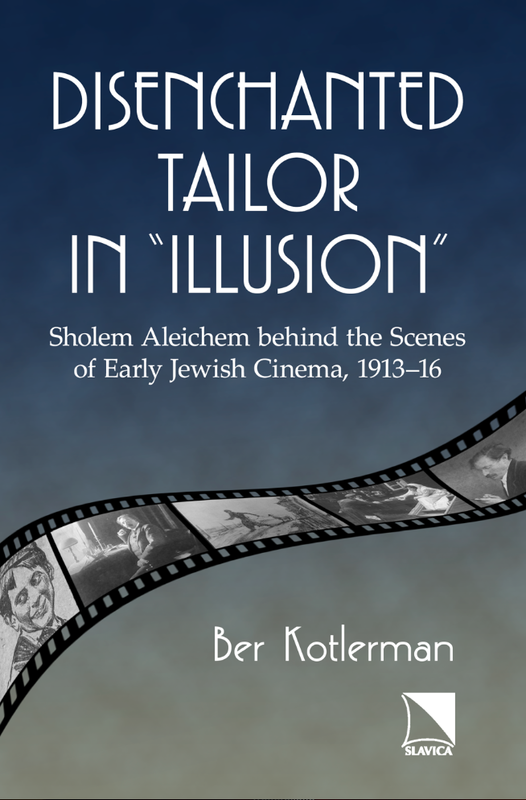 Professor Ber Kotlerman of Bar-Ilan University treats the failed attempt by Sholem Aleichem to make a movie. But it is more than that. It is a study of Sholem Aleichem's relationship with Modernity, technology, and visual media. If he had lived long enough, Sholem Aleichem would have adopted other media in addition to fiction writing. This professional piece of writing should find its audience in students of Jewish literature and cinema." "The Disenchanted Tailor is an enrapturing investigation of not only a virtually unknown moment in the career of the author commonly dubbed the 'father of modern Yiddish literature,' but a whole world of buried histories and startling associations. Ber Kotlerman's earlier In Search of Milk and Honey was a groundbreaking achievement of Yiddish arts history and critique. Here Kotlerman does it once again."